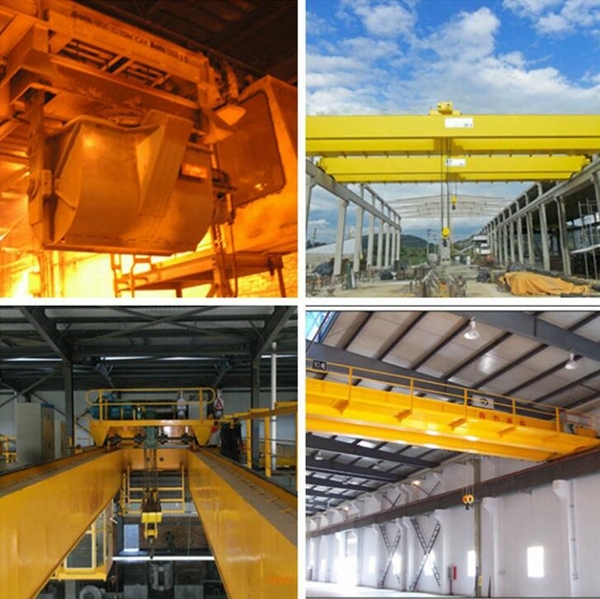 Top Running Overhead Crane Mobile Crane Low Price Crane Reliable Quality Best Choice! Top running overhead crane is designed to travel on the top of track that is either supported by engineered columns or building columns. 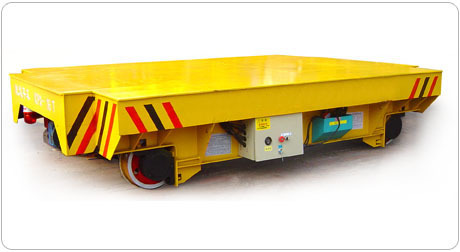 It is the most effective lifting solutions if the factory is not big. Ellsen Group, a professional crane supplier and manufacturer, provides top running cranes with high quality and best price. 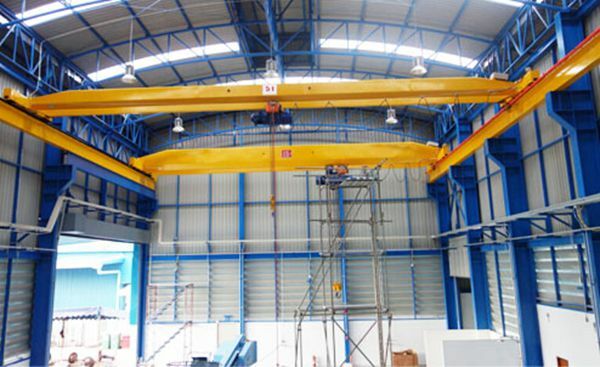 Why choose Ellsen top running overhead crane? 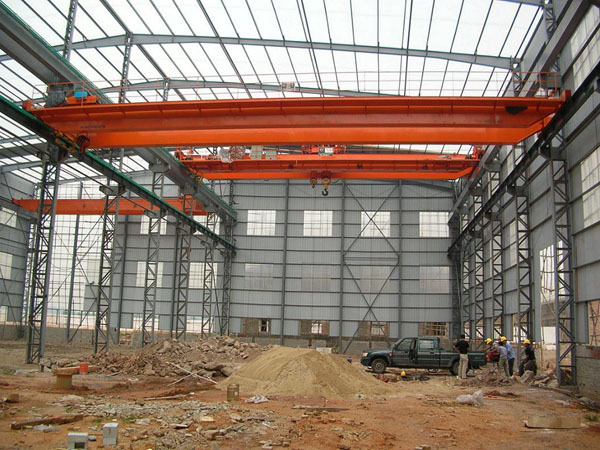 Ellsen cranes are mainly divided into two types: single girder crane and double girder crane. Single girder type is cost effective. It has reduced wheel loads, so the cost of new support structures can be saved. Double girder bridge crane is suit for a complete lifting solution, because it is designed for applications with large load capacities more than 20tons, can stand heavy duty. The hook of double girder type travels between the beams, thus it can also give a better height of lift than that of single girder type. Enclosed track, easy movement and long life. Rigid runways, superior load positioning, no movement or “crabwalking” of the bridge. No support structures, so work areas are kept clear of obstruction. Smooth rolling surface, easier movement of bridge and trolleys. Multiple track profiles and spanning capabilities, adaptable, flexible, and cost competitive. Sometimes you may need a crane to transport heavy cargo or for manufacturing purposes. Overhead cranes and underhung bridge cranes both have practical uses, but there is a time and place for each. This article will compare the differences between top running overhead cranes and underhung bridge cranes. One primary difference between overhead cranes and underhung bridge cranes is that the underhung bridge cranes are far more versatile. Underhung bridge cranes usually carry lighter objects. Because of this the underhung crane system is also much lighter. 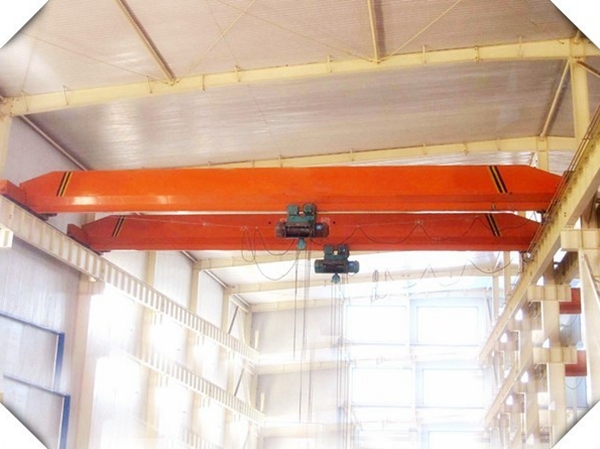 Overhead Cranes are used to carry and transport extremely bulky and heavy objects. If your business needs to move or produce heavy cargo, then it’s a necessity to have an overhead crane system in your building, warehouse, or industrial park. Another major difference is the positioning of the end trucks. 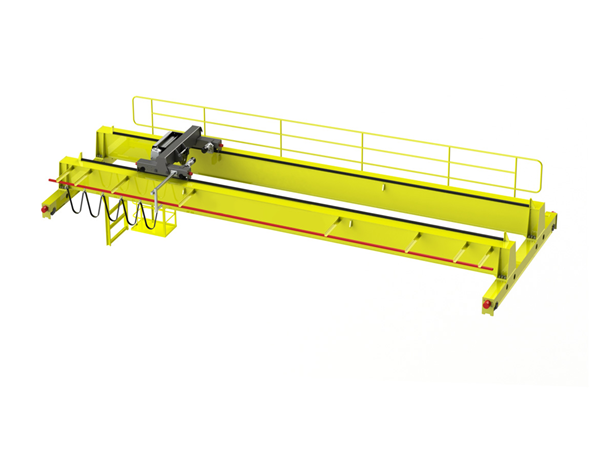 For underhung crane systems the end trucks tend to operate on the lower part of runway beams. The end trucks for overhead cranes require rails for support. These rails link up to the top of the crane runway. Underhung bridge crane systems tend to be cheaper than their overhead counterparts. This is because underhung systems are more flexible, can utilize multiple runways, and are much lighter. Underhung crane systems also have the ability to line up parallel with other underhung crane systems. This allows for more cranes to be running simultaneously, which leads to optimal production. 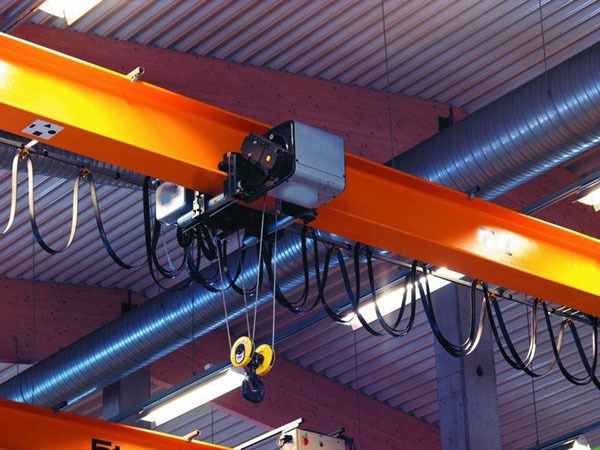 Top running overhead crane systems are perfect for the transport or production of very heavy loads. If your business needs to consistently transport cargo heavier than twenty tons or more, then an overhead crane system is a necessity. In order to have a top running overhead crane system, the building support steel needs a bracket attached. For extremely heavy loads the use of support columns will be needed. Except for common products, the product with special purpose is also produced, such as explosion-proof overhead crane, a kind of top running bridge cranes. It has advantages of simple structure, small size, light weight, and convenient for installation, use and maintenance. It adapts to medium or light crane loading in mechanical workshop, warehouse, material field, maintenance of hydropower station. Ellsen lifting cranes are competitive with high quality and dealer price in the crane industry.